Be it Dimple Yadav, Priyanka Gandhi, Urmila Matondkar, Hema Malini, Jaya Prada, Khushboo or our very own Nara Brahmani — they are all crowd pullers in their own right and add a dash of glamour to political meetings. But, does the glam quotient actually get the votes? Film stars do seem to have a big fan following. “Especially in villages, people feel good when they see the wife, sister or any other woman from the politico’s family as they hardly get to see them otherwise. Politicians, on the other hand, are seen every day on TV, newspapers or at meetings etc. So the presence of women on the dais does make a huge difference and helps to fetch votes. Frankly, the idea behind getting them on board is to give that glam quotient to otherwise routine meetings,” says a senior politico, who does not wish to be identified. Political strategist Venkata Parthasarathy however, has a different opinion. “The glam quotient cannot always translate into votes. 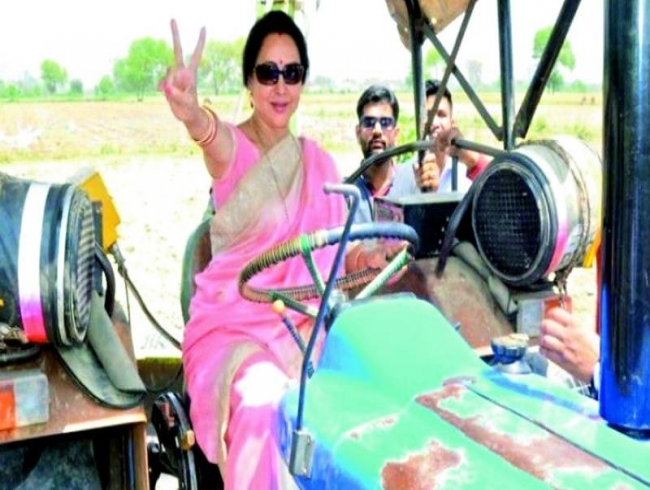 The likes of Hema Malini won the first time, as people looked up to her as a serious politician in 2014. However, her contribution in Lok Sabha has been far from satisfactory,” he says. If Priyanka Gandhi oozes grace and poise with her gait and smiles even as she interacts with people, then Nara Brahmani has established herself as a good speaker. An MBA graduate from Stanford University, who oversees Heritage Foods, Brahmani is the latest entrant who has upped the glam quotient in TDP meetings in AP. Whenever these political stars make an entry at public meetings, the crowd goes berserk cheering and whistling for them. Even when Shweta Brahmbhatt, who had worked as an investment banker with HSBC and Darashaw, took the plunge in Gujarat politics in 2017, on a Congress ticket, and lost, her glamorous avatar is still the talking point.